It is presently the prefered system for the R V Manufactures and Chassis manufactures both. The AAAA system is also available as an upgrade or seperate system. The UTB system is presently manufactured and marketed by an exclusive license. I will make both properties available with or without background license. Every R V dealer and supplier has access to the existing product. The Upgrade AAAA patent pending system has a potential of increase volume of sales for the UTB to turn the supplemental brake system market upsid down. 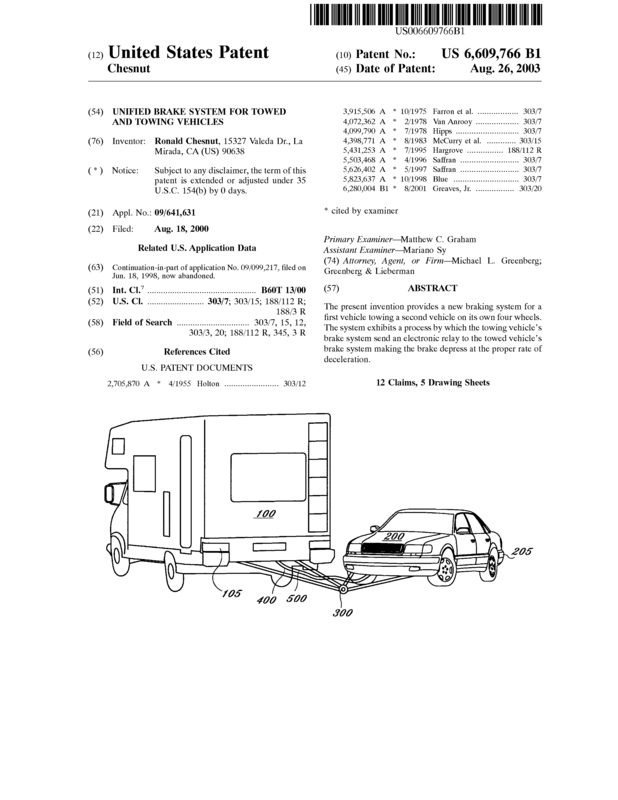 Page created at 2019-04-25 10:01:43, Patent Auction Time.